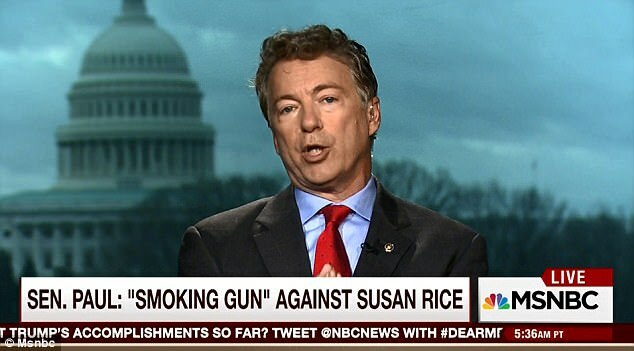 Rand Paul is stepping up and demanding that Susan Rice testify under oath in front of Congress on her unmasking of Trump’s associates and her leaks concerning incidental surveillance they were caught up in. She brazenly lied to NPR last month that she had not done this and now it has been exposed that she did indeed do all of what she is being accused of. In her position as National Security Adviser, asking to unmask certain individuals as a matter of national security is not a crime. However, widely disseminating that information is a felony. It is obvious that Rice did this for political reasons and I suspect, at the direction of Barack Obama and/or Valerie Jarrett. 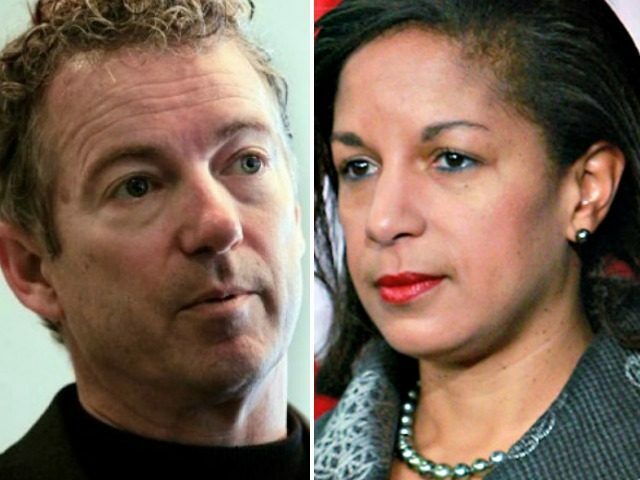 As fingers point to President Obama’s national security adviser Susan Rice as the individual who requested the ‘unmasking’ of Trumpworld names on raw intelligence reports, Sen. Rand Paul, R-Ky., today demanded that she testify before Congress. 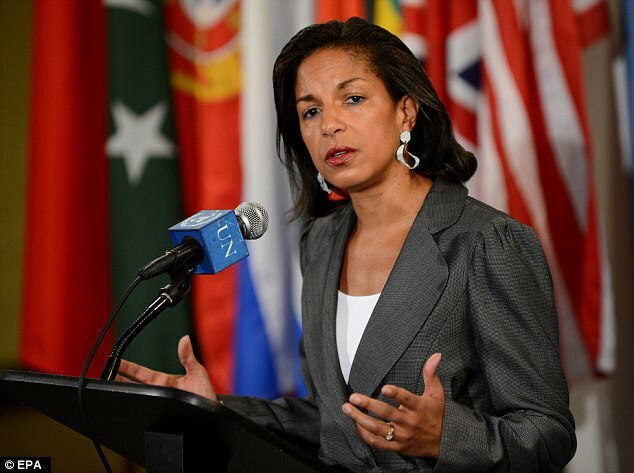 Bloomberg View columnist Eli Lake wrote that from her position as chief of the National Security Council, Rice asked government agencies to identify names that had been withheld from raw intelligence reports linked with Trump campaign and transition figures. 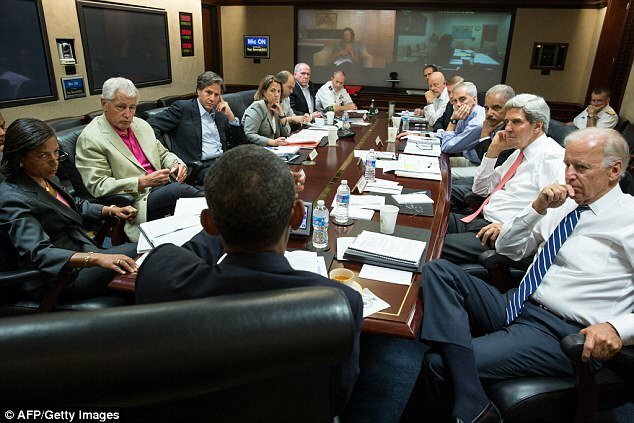 Monday evening, the Daily Caller News Foundation’s Investigative Group piggybacked on this reporting, writing that Rice had asked U.S. spy agencies for ‘detailed spreadsheets,’ of legal phone calls involving Trump and his aides during the presidential campaign, U.S. Attorney Joseph diGenova told the news site. ‘What was produced by the intelligence community at the request of Ms. Rice were detailed spreadsheets of intercepted phone calls with unmasked Trump associates in perfectly legal conversations with individuals,’ diGenova said. Paul also tied Monday’s revelations about Rice to the slew of leaks on the topic around the time of the handover of the White House. “I think she should be asked under oath, did she reveal it to the Washington Post?” he asked. Again, he’s correct. Trump and his team were under surveillance for a year before his inauguration. We want to know why and what transpired. Heads are going to roll over this one. It’s beyond explosive. Those ‘detailed spreadsheets’ that were passed around are of great concern and need to be reviewed as well. “This is a big deal,” Paul reiterated. “If the outgoing administration was actually, literally sifting through things and part of the administration already said we were going to scatter, we were going to get as much information, we were going to scatter it out there publicly to try and harm the Trump administration. This was a witch hunt that began with the Obama administration,” Paul charged. “Sour grapes on the way out the door. They were going to use the intelligence apparatus to attack Trump and I think they did,” the senator added. I believe that Rand Paul and Mark Levin are right here… this is a smoking gun and their crimes are just beginning to come out. Buckle up… this is way bigger than any of us thought.